Clinical study patient 37 - Before (left) & after 5 mo (right). 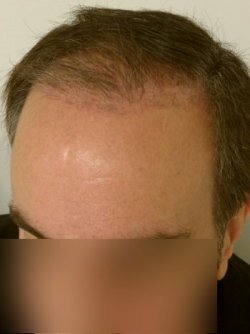 Hair transplant showing growth after 5 months, using the AFR™ program - daily use of Helphair hair shake supplement designed to support hair growth and following a recommended low anabolic profile. 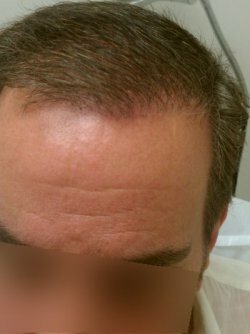 What is interesting about this patient is that he says that his existing non transplanted hair has stopped shedding.